A new groundbreaking study proves soils on organic farms store away appreciably larger amounts of carbons – and for longer periods -- than typical agricultural soils. The important study, directed by Northeastern University in collaboration with The Organic Center, provides a new significant proof point that organic agricultural practices build healthy soils and can be part of the solution in the fight on global warming. The new data will be published in the Oct. 1 issue of the scientific journal Advances in Agronomy. One of the largest field studies of its kind ever conducted, the study pulls together over a thousand soil samples from across the nation. It uses cutting-edge methods to look at how organic farming affects the soil’s ability to lock away carbon and keep it out of our atmosphere. One of its most compelling findings is that on average, organic farms have 44% higher levels of humic acid -- the component of soil that sequesters carbon over the long term -- than soils not managed organically. Working with Dr. Elham Ghabbour and Dr. Geoffrey Davies, leaders of the National Soil Project at Northeastern University, The Organic Center contacted organic farmers who acted as “citizen scientists” to collect organic soil samples from throughout the country to compare with the conventional soil samples already in the National Soil Project’s data set. Altogether, the study measured 659 organic soil samples from 39 states and 728 conventional soil samples from all 48 contiguous states. It found that ALL components of humic substances were higher in organic than in conventional soils. “We were focused on developing and adopting reliable methods of soil analyses for this national project. It was a huge, cooperative effort involving hundreds of sample donors. The results of this project will be of value to farmers, policymakers and the public at large,” said Dr. Davies. Healthy soils are essential for robust and resilient crop production, and the amount of soil organic matter is one of the most critical components of a healthy soil. Organic matter is all the living and dead plant and animal material in our dirt that make it more than dirt – earthworms and insects and microorganisms, plant and animal residues, fermented compost, decomposed leaves and plant roots. Soils high in organic matter support healthy crops, are less susceptible to drought, and foster a diversity of organisms vital to soil health. Soils rich in organic matter can also maintain carbon for long periods of time, and help reduce the causes of climate change. The gold standard of organic matter are the humic substances. Humic substances – made up of carbon and other elements – are the lifeblood for fertile soils. These substances resist degradation and can remain in the soil for hundreds and sometimes thousands of years. They don’t just mean healthy soil; they are also one of the most effective ways to mitigate climate change. The more humic substances in a soil, the longer that healthy soil is trapping and keeping carbon out of the atmosphere. The study shows that the components of humic substances – fulvic acid and humic acid -- were consistently higher in organic than in conventional soils. This is the first time scientific research has given an accurate picture of the long-term soil carbon storage on organic versus conventional farms throughout the U.S., since most studies focus on individual farms or total soil organic carbon. The Organic Center’s study takes farms from around the nation into account and looks at the most accurate measure of carbon sequestration. Since 2008, the National Soil Project at Northeastern has been measuring the organic soil content of soil throughout the nation. Its collected samples were primarily of conventional soil. Drs. Davies and Ghabbour, the directors of the National Soil Project, were seeing very low levels of humic substances in these conventional soil samples. For more information on The Organic Center and the science behind organic food and farming, visit www.organic-center.org. 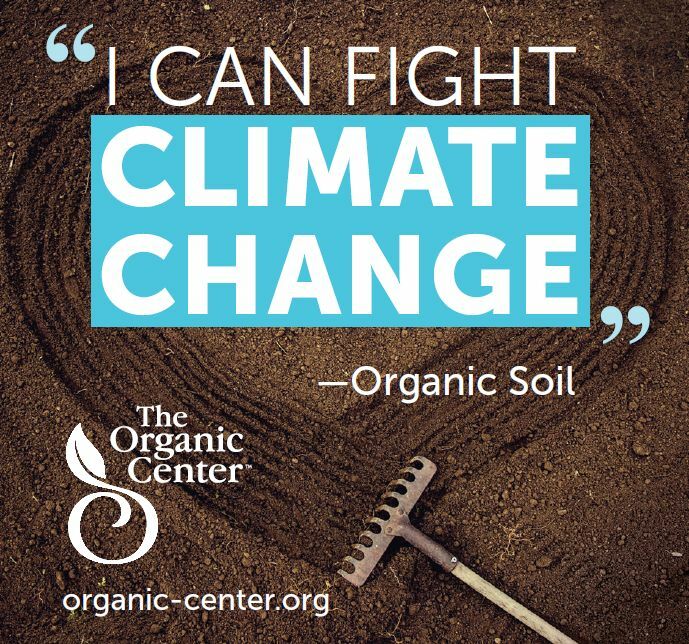 The Organic Center’s mission is to convene credible, evidence-based science on the health and environmental benefits of organic food and farming, and to communicate the findings to the public. The Center is an independent non-profit 501(c)(3) research and education organization operating under the administrative auspices of the Organic Trade Association.